O’Grady’s Landscape can help you keep your lawn weed-free and your plantings protected from heavy rain with our full-service landscape maintenance packages. Mulching is especially critical to maintaining the landscape you love and keeping your gardens and grasses healthy—particularly for North Arlington, VA homes, where we often experience periods of wet, rainy weather. Our landscapers have years of experience providing reliable mulching services for local landscapes, making us your [city] experts. Let us take care of your landscape and gardens so you won’t have to. Call us today at 703-533-5001 to schedule mulching in North Arlington, VA, and we’ll get your property to look its best year round! 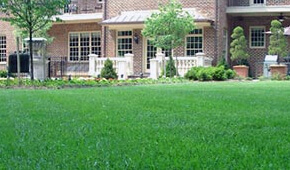 When it comes to mulching in North Arlington, VA, it’s important to choose a landscape company with experience. Improper mulching methods can often lead to insects, disease, and a number of other issues—which is exactly the opposite of what you want from your landscape maintenance service! Fortunately, O’Grady’s Landscape understands how critical it is to use the right mulching techniques to achieve the desired results. We perform a thoughtful, thorough service, drawing on years of experience to promote the health of your planting beds and lawn area with high quality mulch. Keep your gardens and grasses healthy and the weeds at bay with a North Arlington, VA mulching service you can count on! O’Grady’s Landscape offers fully comprehensive landscape maintenance packages that cover not just all your mulching needs, but also all the weeding, pruning, and fertilization needed for your plants to thrive year round. We pride ourselves not just on our quality mulching work, but also on providing the best possible customer support experience to each client. It isn’t always easy or fun to mulch flower beds on your own—and because improper use of mulching techniques can have damaging results on your plantings, it can be risky too. Let us eliminate the headache and hassle of regular maintenance. Contact us today to take care of all your mulching needs in North Arlington, VA—call 703-533-5001 to speak with a member of our staff or request an estimate online.